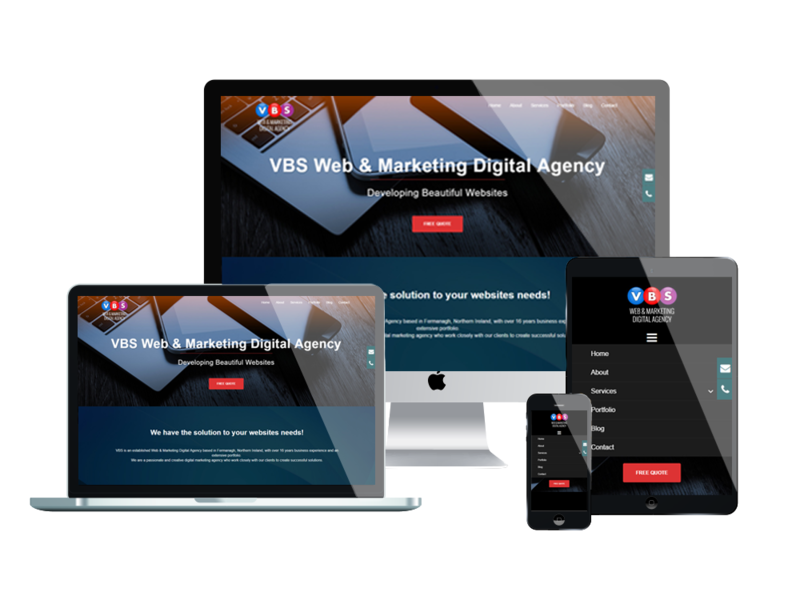 "Here at VBS we believe transparency and flexibility is key when working with clients to design their online presence". There are no hidden charges in our service and no reoccurring annual fees; all work is carried out in-house by one of our experienced developers and there is a one off payment for the build of their web solution with no additional recurring charges. Through every step of your build our team will work closely with you to provide the right solution to help you market your products and services to a global client base. We’ll go beyond simply getting you on the Internet. We can help you develop an online strategy that will deliver sustainable online growth for your business/brand. It is in our best interest, as well as yours, to provide services that help your business grow and are always a phone call away. When you contact us, we will do everything we can to ensure that your site adheres to these basic principles. Initial meeting with client to discuss the aims of project, feature & target goals. Image and text content is exchanged to help with design process. Throughout the whole design and development process, we communicate with the client and listen to their suggestions and edits for their website. Once the website has been completed, we meet with the client and finalise everything until they are happy for the website to go live on their domain. The designer and developers work together to create the images and code for both the backend and frontend of website to match chosen design. Our relationship with the client doesn't finish with the launch. We are just a phone call or any email away if they need our help and support. We know when getting a new website it can be difficult, sometimes a little daunting.